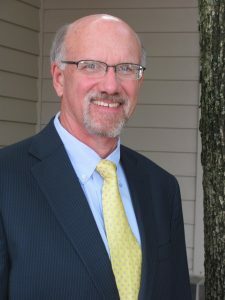 Gordon Smith is the associate director for the National Concrete Pavement Technology (CP Tech) Center at ISU’s Institute for Transportation (InTrans). He has been associated with the center since its founding in the 1990s, holding various roles, so joining the team as associate director in August seemed like a natural next step. At the CP Tech Center, he will continue years of work focused on the advancement of concrete pavement technology and educational outreach to agencies and practitioners. Why was now the right time to join CP Tech Center as its associate director? The opportunity to join the National Concrete Pavement Technology Center was a true blessing that allows me to continue work in my long standing commitment to design, construction and advancement of concrete pavements. After working as a paving contractor in Iowa for 14 years, followed by 31 years of leadership for the Iowa Concrete Paving Association and Iowa Ready Mixed Concrete Association, I realized that I wasn’t quite ready to retire when the calendar said it could be done. The CP Tech Center provides a perfect appointment that allows me to continue to make a difference in my chosen field of interest and expertise. Through the Center, I am now afforded the forum to help make that difference, not only in Iowa, but around the country and beyond. There are always new challenges and opportunities in our vocation and I am pleased that I can contribute to progressive solutions through research, technology transfer and timely implementation for the coming years. In my role at the CP Tech Center, the greatest satisfaction comes from continued relationships with agency and industry leaders and friends as well as the outstanding InTrans staff. These connections are an essential element to my satisfaction, allowing me to work with many to collaborate in research initiatives and technology transfer ventures that advance the application and performance of durable concrete pavements. What are the challenges currently in the concrete industry, and how does CP Tech Center work to address them? The challenges currently facing the concrete paving industry include topics relating to concrete pavement durability in an ever changing environment, extending the life of older pavements to provide suitable service, and further development of concrete overlay technology. Through FHWA (Federal Highway Administration) cooperative agreements, IDIQ (indefinite delivery, indefinite quantity) contracts, Transportation Pooled Fund projects, and Iowa Highway Research Board projects, the CP Tech Center is working diligently with many partners to develop the science and practice for Performance Engineered Concrete Mixtures, to provide vital guidance for the care and life extension of our aging pavements guided by new initiatives in asset management and to share, nationally, the Iowa success story in the history and utilization of the concrete overlays. How did you get interested in your field of study? I have a strong family background in construction trades, engineering and education, so it was natural for me to pursue a career in civil engineering and highway construction. A passion for building pavements, followed by a strong interest in research and education, served as the cornerstone of my long journey in this exciting world of concrete. When I can find the time, I enjoy traveling with my family to cities and countries near and far, working at our acreage at home and laboring at a family farm in southwest Iowa. I am also a long time member of the Des Moines Choral Society, passionate about sharing the joy of choral music performance with others. And yes, I have sung at Carnegie Hall!